As far as we're concerned, this stunner by Interior Hints epitomizes boho-chic by striking the perfect balance between eclectic touches and timeless tastes. Textures lay the foundation of this design, from the layered rugs to the hanging plants, while a mix of patterns keeps it lively and compelling — just say hello to those matching throw pillows! And while the laid-back vibes are clear, the room's rich tones still maintain a sophisticated air. We particularly love how the symmetrical arrangement allows for playful details, like the whimsical ladder and modern chandelier, to make a statement that doesn't feel over-the-top. If you're aiming to recreate this style, try playing with symmetry to see how it matures your look. Balance out items on either side of a main furnishing, and keep everything within a similar color palette. 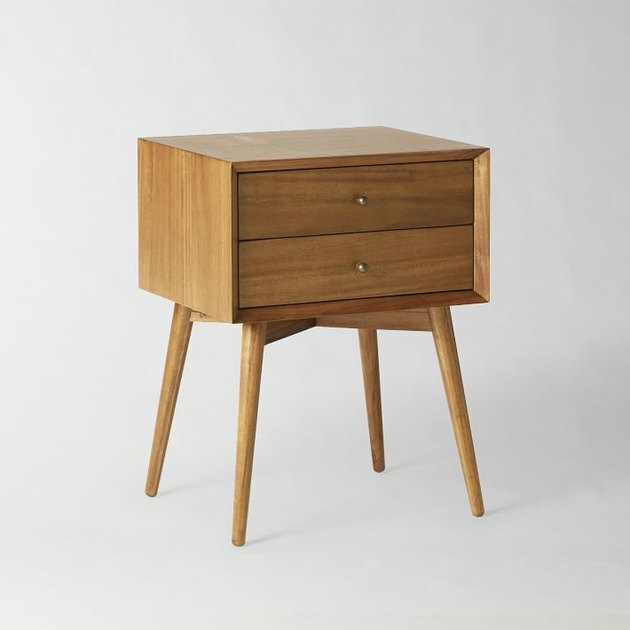 A great place to start is with a pair of these midcentury bedside tables.